Sloppy posting is becoming the status quo, but this presents you with the chance to beat out the competition. Some trends are developing in terms of what bloggers aren’t doing to make their posts as valuable as possible, and you probably fell victim to at least several of these trends in the past. It’s okay. You’re human. We all make mistakes, so let’s make this an “opportunity,” not so much a failure, and move on to a bigger and brighter future for your blog posts. By learning from your mistakes you’re sure to increase your credibility, user retention, recognition, and overall effectiveness. Make your title as short as possible. Reduce numbers that are spelled out to their numerals. Use ampersands instead of spelling out the word “and.” Finally, look for unnecessary words. Why all the work on the title? More services like Twitter and other social sharing services only display about 40 characters. You don’t want your title to get cut off as people are far less likely to click on a link to read an article if they don’t know exactly what it’s about. It only takes a few minutes to make a graphic that you can use for a featured image. These are becoming a standard piece for any posts, so take the time to knock this out. See how nice it makes your post look? This is another item that only takes seconds, and it helps quite a bit with search engine optimization. For example, Google displays images in the main search results. 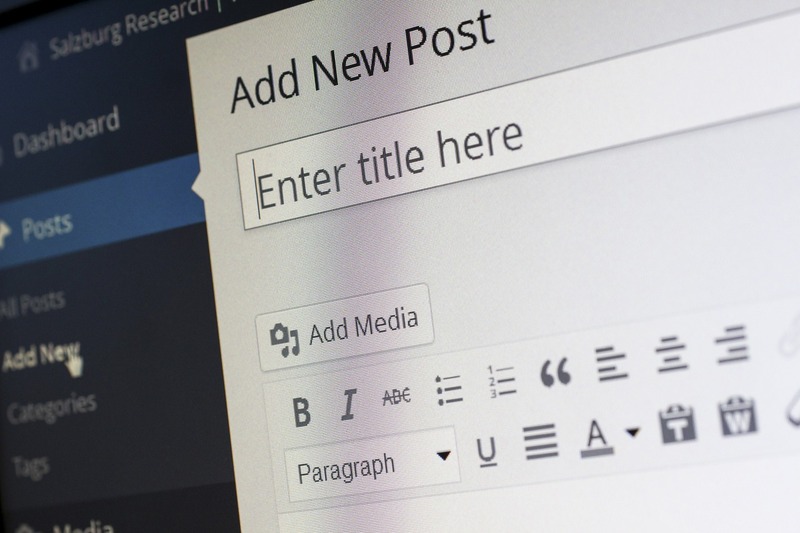 If your images have a title that match the search, your images could be driving traffic to your blog posts. Right at the beginning of your article you need to be very clear about what you’re article is going to do for the reader. Don’t waste time with a paragraph introducing yourself. Hit them right between the eyes. Your readers are looking for answers. Let them know you’ve got their answers right away. This is a big issue. Two major formatting issues are creeping into posts: (1) no headers and (2) no whitespace. Headers, like the ten in this article, help readers skim your content and find what they’re looking for right away. You probably did this yourself with this article, glancing over the headers to see which items you might have missed. Headers work. Use them. Whitespace is a little more tricky. This can be affected by the blog layout, the text size, or your sentence structure. Generally speaking, try to keep your paragraphs to 2-4 lines. Our eyes are getting lazier and don’t like squinting to find content in a lengthy passage. Shorter paragraghs are generally better. Ask your readers to do something. Whether you want them to comment, share your post, or send you the keys to their cars, don’t forget to call them to action. Ask a question as you close, offer a prize for sharing, or let them know how to buy what you’re selling. You can keep readers on your site longer by providing them relevant articles on the same topic. This also helps with SEO, by the way <– (sneaky cross-link example). Think this through. Categories are your broadest method of defining a post: design, news, tutorial, feature, how to, and the like. But you can use tags to further define a post. These not only help your readers find your content, but it helps search engines and “related posts” plugins as well. You probably finished your post and immediately published it, didn’t you? But when are your readers most likely to get on the internet? Schedule your posts to go live when your readers would be online — not at 2AM when you finished it (finally!). Many feed reading sites post your content shortly after you post it, so time it carefully. This should go without saying, but your readers are smarter than you think. Run spell check and review your article for basic grammar. Some mistakes are forgivable and readers will ignore (or just not see) them. Too many and you lose credibility — probably permanently.